In 2014 a pro-life bill, Unsafe Abortion Protection Act, or Act 620, was passed into law in the state of Louisiana. Written by Rep. Katrina Jackson (D), it was passed by a 88 -5 vote in the Louisiana House and 34 – 3 in the Senate. Jackson, chair of the Louisiana Legislature Black Caucus stated that the law is about “the safety of women”. Doctors who perform abortions have admitting privileges at a hospital within 30 miles of their clinic. Clarifies that chemical abortions, by ingesting mifepristone, also carry informed-consent protections. Chemical abortions be reported, anonymously, to the Department of Health and Hospitals. The same tracking requirement is already on the books for surgical abortions. Requires doctors who perform more than 5 abortions per year, to maintain proper licensing. This type of regulation would seem to fit the democrat/liberal narrative of keeping abortion safe, legal, and rare. Yet it appears that their position is shifting. There is an uproar from abortion proponents every time a common sense, proposed woman protecting piece of legislation. In keeping with this insidious trend, Act 620 was first sent to the Fifth Circuit Court in September 2018. Thankfully, however, it was upheld. The court found that the law does not impose a substantial burden to women seeking abortion, as alleged. The plaintiffs challenging the law asserted that the law would leave only one doctor to perform abortions in the state. The court, however, found the reason behind this claim to be a misrepresentation. In fact, the doctors performing abortions were not willing to abide by the new law. That was the reason only one abortionist would remain. 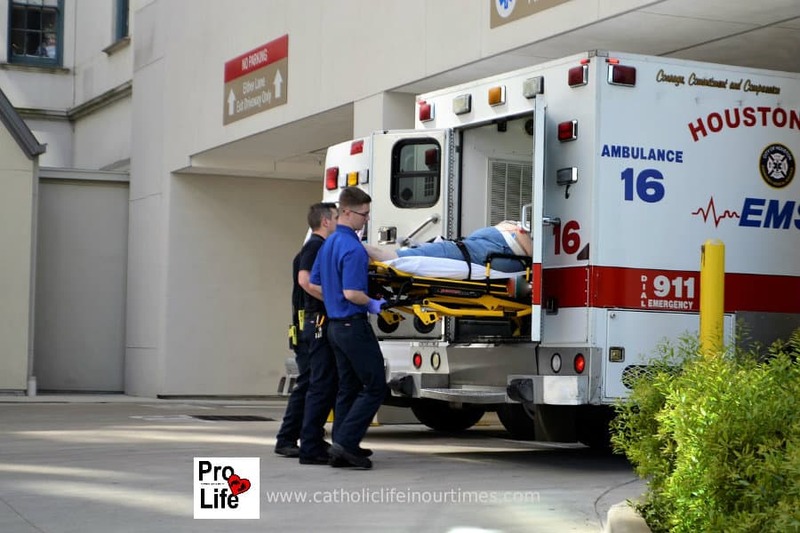 Safe Abortion Is An Emergency? In a last ditch effort to prevent Act 620 from being enforced, abortion proponents have now requested an emergency stay. In other words, abortion proponents consider blocking enactment of a law protecting women as an emergency. Let that sink in – it is an emergency to block safety for women! Meanwhile, Attorney General Landry has filed opposition to the emergency stay on behalf of the state of Louisiana. Landry proposes that the court is unlikely to reverse the decision and there exists no likelihood of irreparable injury resulting from the law taking effect. If the stay is not granted, the law will take effect Feb. 4, 2019 – over four years after becoming law. If the stay is granted, the case may very well wind up in the Supreme Court. Why Fight Laws That Protect Women? So what is the big deal with laws that protect women? If the pro-choice movement really is about protecting women and keeping them safe from back alley abortions, why oppose a law that does just that? We must also ask ourselves why a doctor would decline to have admitting privileges at a nearby hospital. When an emergency situation occurs, a woman would certainly feel more secure knowing her doctor could follow her to a fully equipped hospital to continue her care. In evaluating the narrative and comparing it to action, a sinister reality comes to light. Despite claims of caring for women, the reality of the pro-abortion movement is keeping abortion legal, at all costs. No matter what, at the expense of women’s health and lives, abortion is their sacrament. As Nancy Pelosi has stated, abortion is ‘sacred ground’. Every day, thousands of babies are killed in the wombs of their mothers. Thousands of women become mothers of dead babies. Their lives are never the same. They bought the lie that abortion fixes whatever problems they currently face. However, the death of their babies will never be forgotten. This memory will become a problem that never fades – for the rest of their lives. In the mean time, the abortion movement is diligently working to advance and protect their savage cause. Who will protect the women, babies, fathers, families who are their victims? As the pro-abortion forces continue to increase their efforts, we pro-life advocates must become more insistent. We have a call, no a duty, to be a voice for the voiceless. If the debacle in New York has taught us anything, it is that abortion advocates have no limits. They feel no qualms in the face of their mission – unfettered abortion for all. In reality, abortion is their business. It is their income. Political leaders receive large donations from an industry that kills unborn children. In return for blood money, they advocate and protect abortion. The cycle is as corrupting as it is horrifying. OF course, prayer is our first line of defense. Yet prayer is not enough. Our call to become Warriors for Life includes education and advocacy. It is unbelievable for those who have long been in the trenches, but many are still uninformed. Yet they have been awakened. More continue awaken every day. It is our job to keep the abortion discussion going. Never let the world forget and become complacent again. Educate, share, discuss, pray, assist, and keep the momentum going. With the infusion of the new, enthusiastic pro-life generation, we might just experience the end of abortion! O would think there is so much money in the 1million abortions a year in this nation that any investment of time to get and stay licensed would be worth it to the doctors who perform them. Whatever the fee, it has to be tiny compared to the loss of revenue if the “clinic” is shut down for non-compliance. Admitting privileges is a no-brainer. Who would go to an outpatient facility of any kind where the practicing doctors don’t meet the standards for keeping admitting privileges? It’s too risky, the doctor would have no oversight of their practice or their work. Yet abortion advocates continue to battle against any laws that would make the procedure safer. They are simply unwilling to give an inch, even if it saves lives. Why is there no liability when women are mangled and sometimes killed? They are that afraid of losing their filthy lucre. Any admission of unsafe conditions or unqualified doctors would, most likely, result in many changes and updates to their killing chambers.